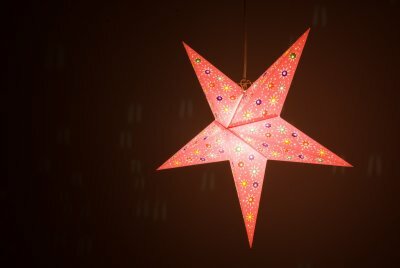 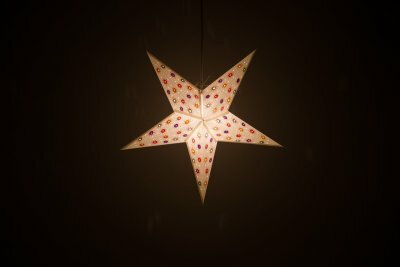 The 'Fiesta' starlight lantern is a bold and ornamental star lampshade in a choice of rich, bright colours. 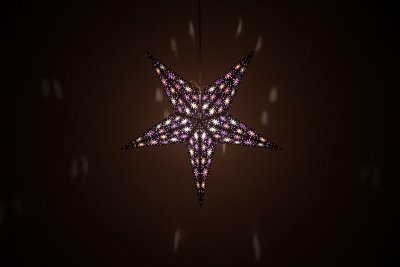 160 multicoloured jewels of light create a striking contrast. 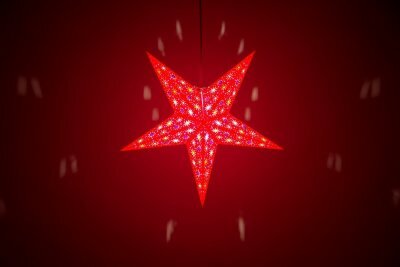 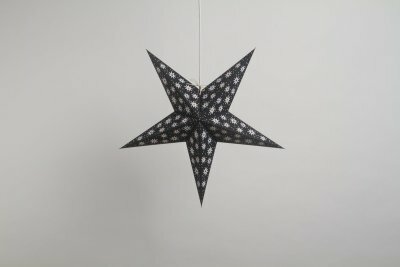 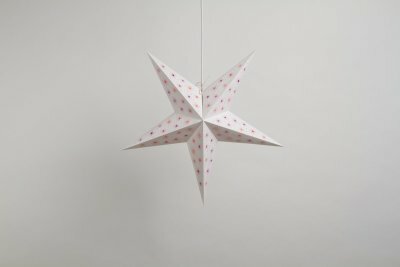 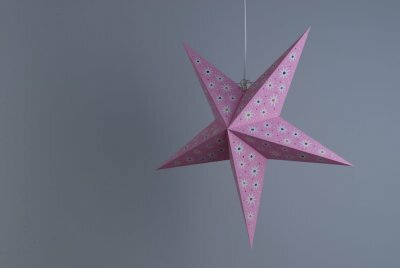 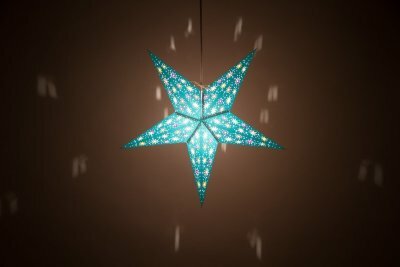 A beautifully ornamental centrepiece, this richly decorative 5 tipped star will add mood and atmosphere to any room or event. 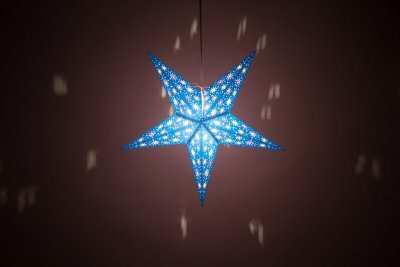 Try it as a nightlight, party light or decorative lampshade. 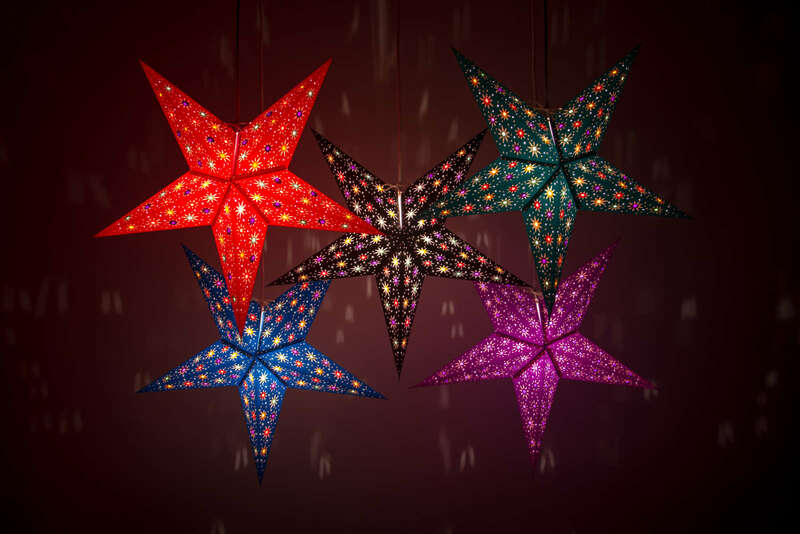 Choose from Black, White, Red, Turquoise and Sea Blue.